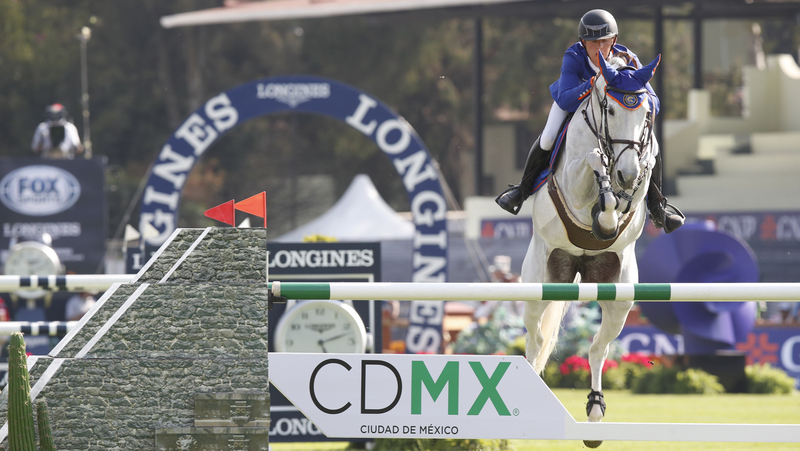 Valkenswaard United’s formidable duo of Bertram Allen with Molly Malone V and Alberto Zorzi with Contaga took pole position in a tantalising first round of GCL Mexico City. New signing for the Berlin Eagles Malin Baryard-Johnsson made her debut for the team today, and spoke of the picturesque area ahead of the competition: "It’s fantastic - what a place, what a ring. It’s beautiful. It’s a big enough track today, but it’s fair."